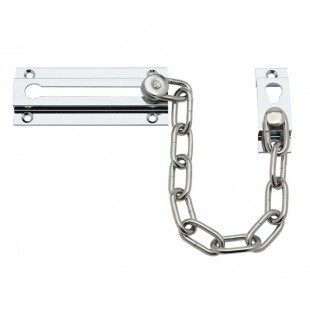 The security door chain is the perfect solution for those seeking a door chain lock for a front door or any external door where you wish to improve the security. 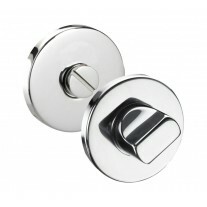 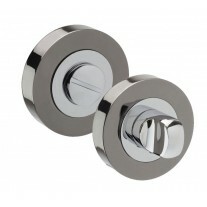 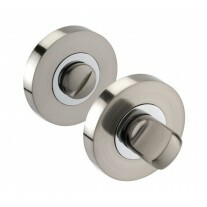 Finished in polished chrome this door chain lock coordinates well with other chrome or stainless steel hardware while also matches with similar finish fixtures and fittings around the home. 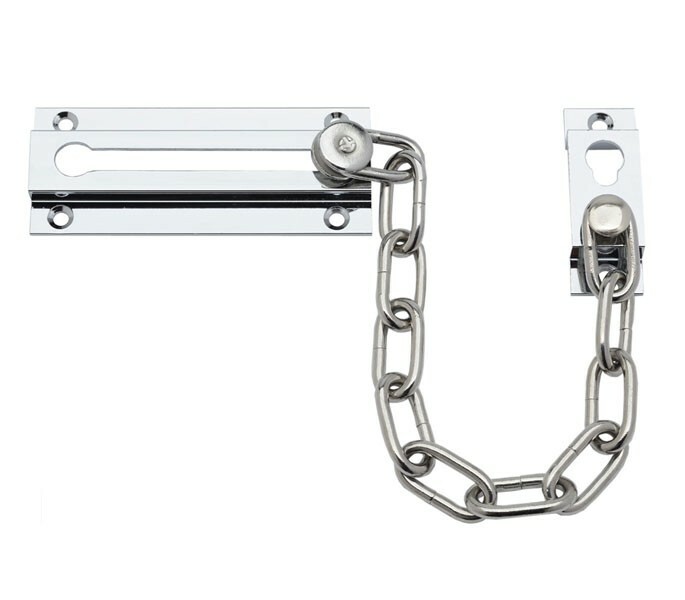 Supplied complete with the required fixing screws, chain retainer plate and keep, this modern and stylish security chain is easy to install on your door.